Sapporo is the original Japanese beer and was first brewed in Sapporo, Japan in 1876. 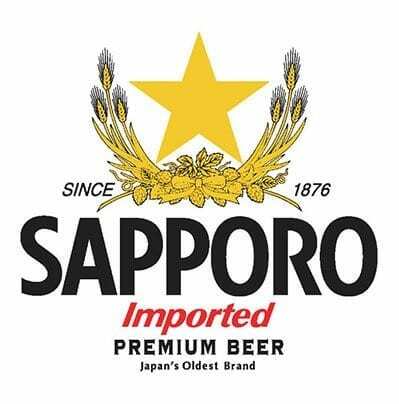 In the U.S., Sapporo beers are brewed, canned ad bottled by Sapporo Brewing Company in La Crosse, Wisconsin for Sapporo U.S.A. Sapporo produces three different beers. Sapporo Premium is a premium rice lager and has 5% alcohol. This beer has a nice hop aroma and a crisp and refreshing clean finish. Sapporo Reserve is made only with the finest ingredients. It is a pale lager that is 5.2%ABV. This World-Class lager has full body flavor and intense complexity. Lastly, they brew Sapporo Premium Light. This beer has a light, smooth and elegant flavor and is low in calories.